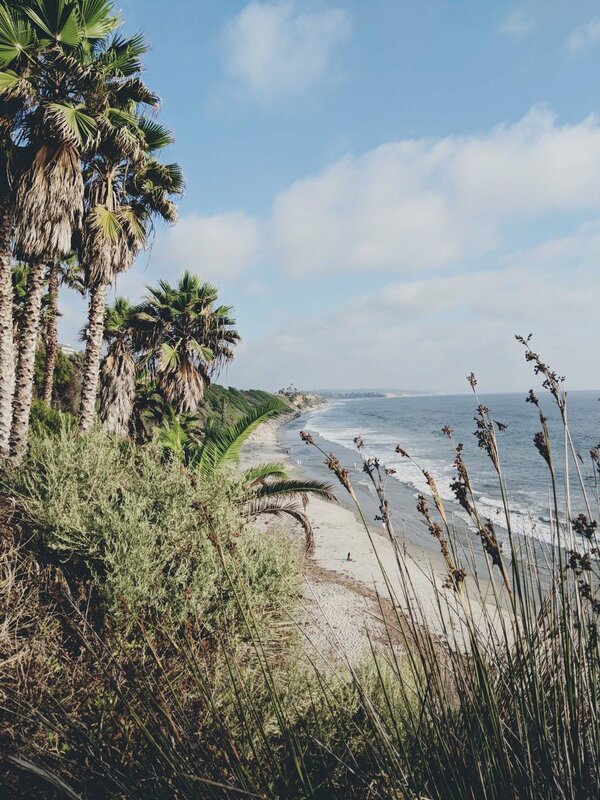 Encinitas, which means “Little Oaks” in Spanish, sits in a sweet spot along Historic Highway 101 95 miles south of Los Angeles and 25 miles north of San Diego. A laid-back bohemian enclave that parallels the Pacific Ocean, Enci’ is famed for beautiful beaches, great surf, and good vibes. The historic downtown area is lined with cool shops, restaurants and galleries too - be sure to catch a movie at La Paloma Theater, opened in 1928 the original Spanish Colonial Revival style building is rich in Hollywood history. Guests can borrow boards and cruisers for free while staying at this stylish eight-room motel just blocks from Beacon’s Beach. Local café Coffee Coffee is located across the street for a.m. caffeine fixes. Rooms from $180. Set in lush landscaped grounds in the heart of Leucadia, this 3-bed coastal modern home boasts an outdoor fire-pit and hot tub, plus plenty of thoughtful design details on the inside. From $335 per night. 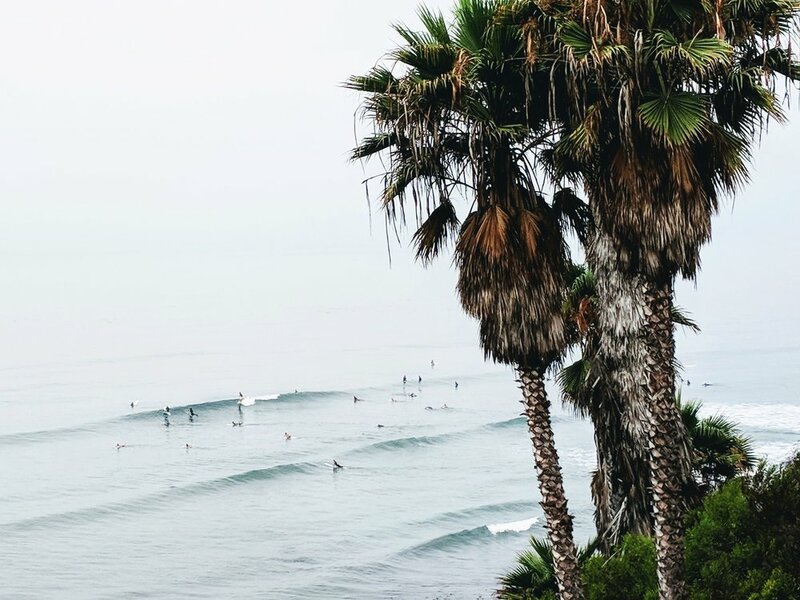 Encinitas’ waves have been featured in countless magazines and draw surfers from across the globe. Swami’s reef is world-class and it's mentioned in the Beach Boy’s song, “Surfin’ U.S.A.”, while Beacons and D Street are known for their punchy beach breaks. Grand View picks up multi-directional swells and is great for (mostly) easy lefts and rights. The locals here are good (celebrated pro Rob Machado may have been born in Australia but grew up in nearby Cardiff-by-the-Sea) and while the vibe is friendly standard surf etiquette still applies - that means no snaking, no wave hogs and no wasted waves, among other pointers. If sunbathing is more your speed, Stone Steps Beach is a low-key spot that's great for lounging at low tide. Don't forget the stingray shuffle. Founded in 1938 by Indian yogi and guru Paramahansa Yogananda the Self-Realization Fellowship and Meditation Gardens are a magical place. The hermitage’s golden spires on Highway 101 are a North County landmark but you’ll find the gardens a little way up West K Street. 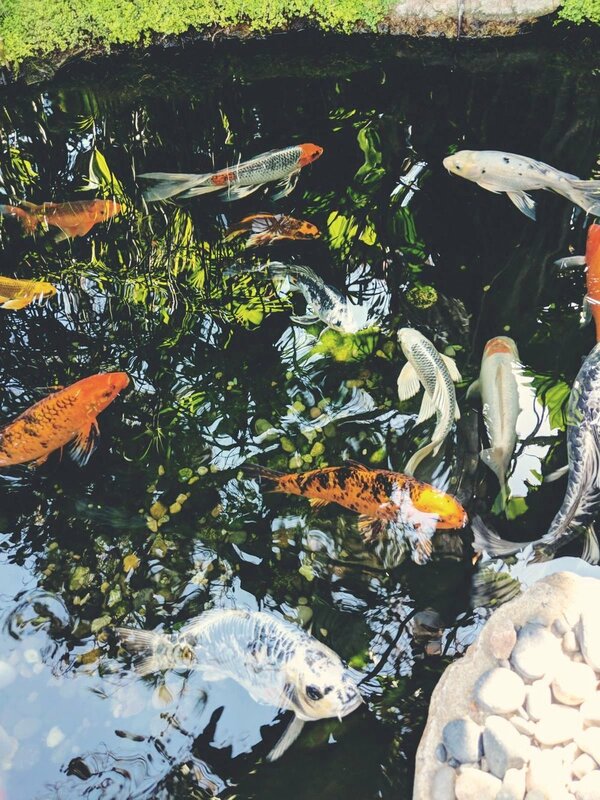 Here, beautifully tended plants, trees, flowers and ponds filled with giant koi fish, plus nooks and private alcoves perfect for moments of mindfulness and reflection, await. Turn right at the top of the stairs and follow the path north for sweeping, cactus-framed Pacific Ocean views. Catching a sunset from here really doesn’t get much better. 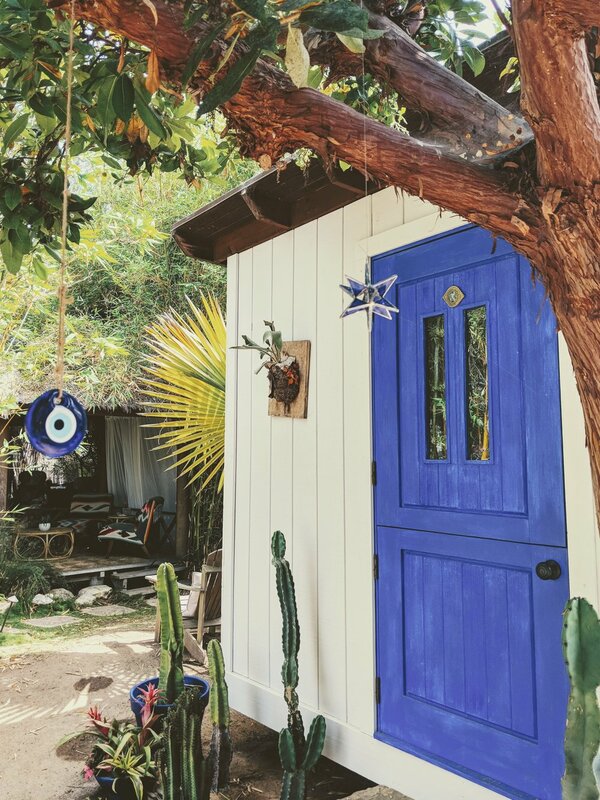 Nestled among succulents, leafy palms and lush bamboo, Four Moons Spa is high-vibration space in Leucadia where holistic modalities, ancient wisdoms, and energy work are integrated into every treatment. Carve out time for a color reading and a massage or jump in on one of the daily yoga sessions: vinyasa, kundalini, and restorative are offered among other styles. A global design aesthetic adds to Four Moon’s far-flung feel - be sure to take some tea in the traditional Balinese bale (open-air pavilion) while watching the koi fish swim below or recline on one of the day beds between treatments. From surf shops to old record stores, Encinitas has lots of browse-worthy boutiques. 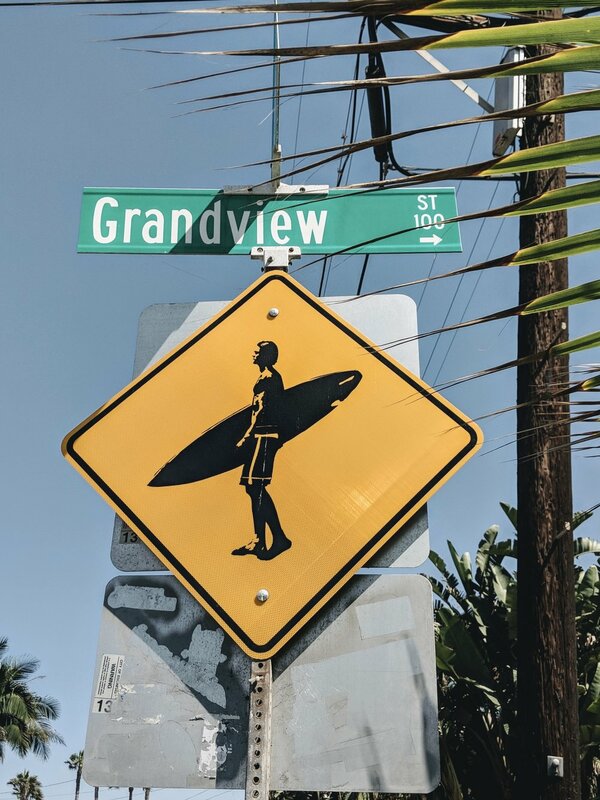 One-of-a-kind Seaweed & Gravel (1144 N Coast Hwy) carries retro-vintage surf and moto-focused gear, including a nice line of S&G branded t-shirts and denim. JP and the guys know their stuff at Surfy Surfy Surf Shop (974 N Coast Hwy) where there’s a good selection of boards and wetsuits, plus Surfy Surfy tees and trucker caps. An Encinitas institution, Lou’s Records (434 N Coast Hwy) has been selling new and used vinyl, CDs and cassettes to music lovers since 1980. Handsome finds from Bali fill the shelves at Susanna and Elaina Samaniego’s studio, Design 4 Corners (466 N Coast Hwy). 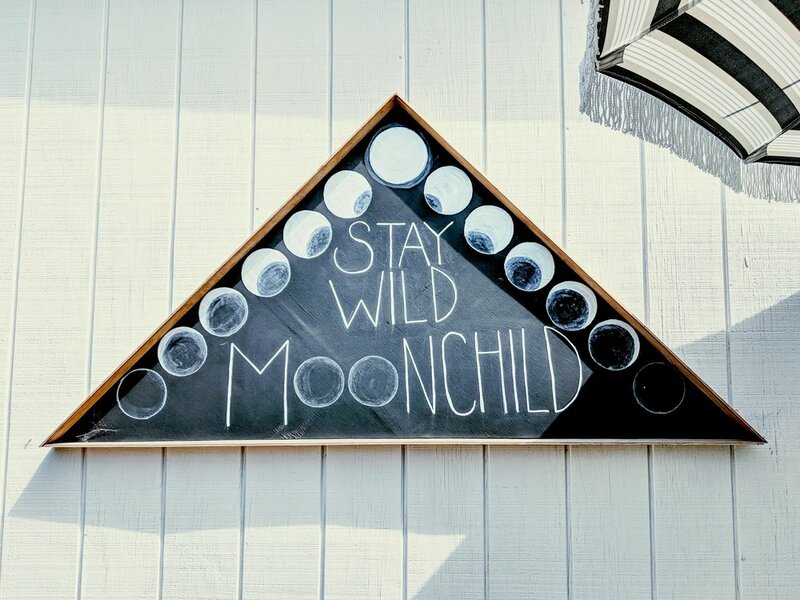 For stylish apparel and accessories stop by Sophie Machado’s bijou Salt Culture (930 S Coast Hwy), and The Girl & The Water (766 S Coast Hwy). One of San Diego’s oldest surfboard manufacturers, Hansen’s (1105 S Coast Hwy), stocks a huge selection of boards and surf gear and is always worth a look-see. 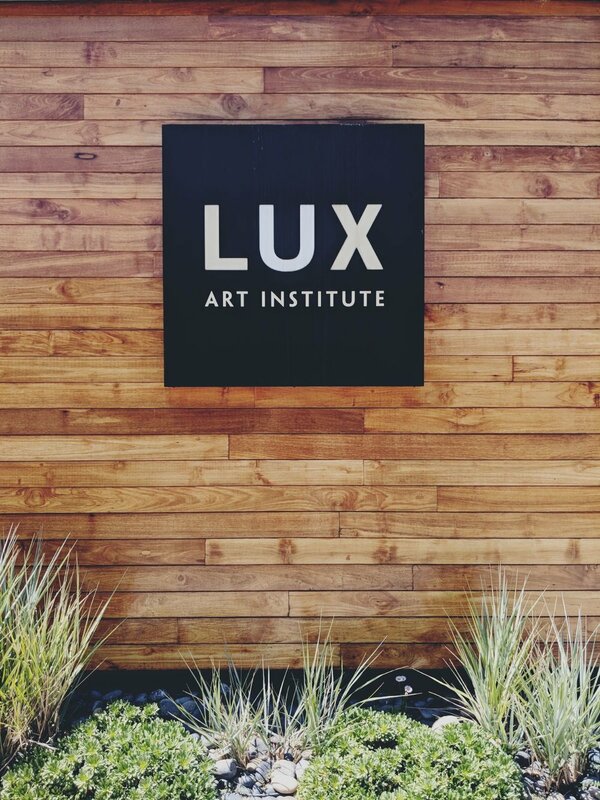 EXPLORE EAST OF THE FIVE | Dragging yourself away from the coast can be tough but there are some must-visit gems just over the I-5 Freeway. Noteworthy Mention: Former Leucadia-based artist Daniella Manini may have moved to Ventura, but you can still find her whimsical prints dedicated to local beaches, like Pipes & Moonlight, at select galleries around town. Coffee shops, Mexican hole-in-the-wall joints and beloved dive bars – there are tons of great places to eat and drink in Encinitas but these five classic establishments are well worth a visit.